How to deadlift from the Starting Strength DVD (released 2010). 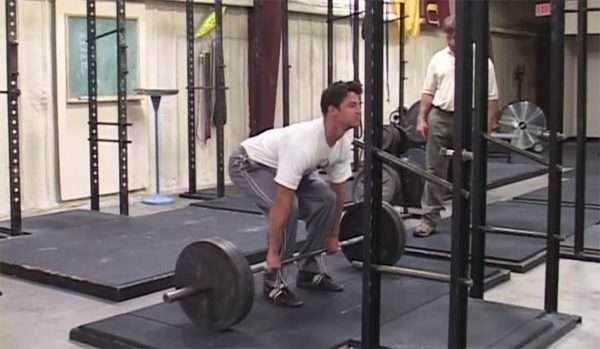 Mark Rippetoe takes lifters of varying size and shape through the Starting Strength teaching progression for the deadlift as detailed in Starting Strength: Basic Barbell Training. This is part 3 of a series on learning how to deadlift. This is the final video in the series. This is part 2 of a series on learning how to deadlift. In the next video, Rip will coach lifters through heavy sets of 5. This is part 1 of a series on learning how to deadlift. In the next video, lifters will pull a set of 5. How to deadlift from the Starting Strength DVD released in 2010. 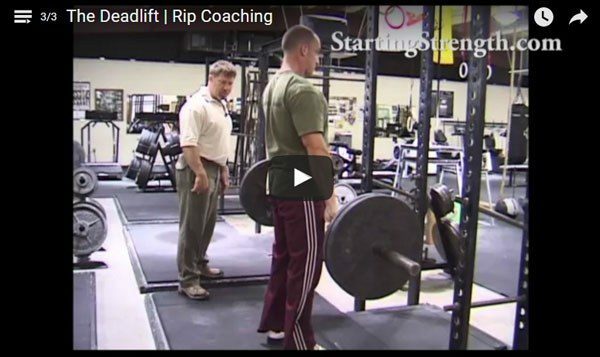 Mark Rippetoe takes lifters of varying size and shape through the Starting Strength teaching method for the deadlift as detailed in Starting Strength: Basic Barbell Training.